Youtube/John AielloIllinois teen Jack Aiello. 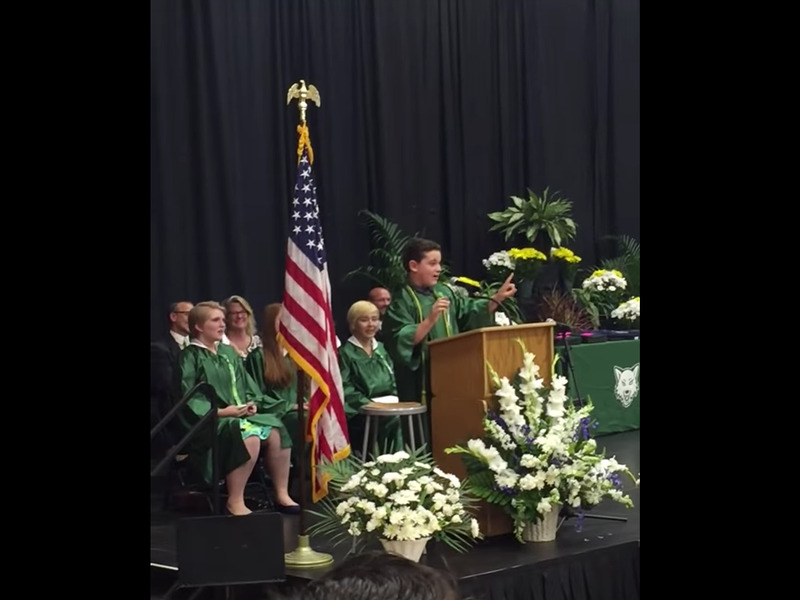 Most graduation speeches are yawn-worthy and cliche-ridden. Jack Aiello’s was anything but. When the Illinois teen took the podium for his eighth grade graduation this month, he delivered his speech using spot-on impersonations of Donald Trump, Ted Cruz, Barack Obama, Hillary Clinton, and Bernie Sanders, NBC Chicago reports. To say the speech was a hit is an understatement: In the video, which has been viewed more than 88,000 times, nearly every sentence is met with belly laughs, applause, or outright cheers from the audience. Aiello’s parents told NBC Chicago that their son has been doing impersonations from a very young age — and that he’s been watching the 2016 election closely. Unsurprisingly, the 14-year-old plans to pursue a career in either politics or comedy someday.